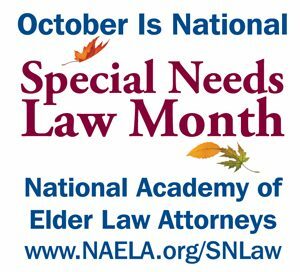 NAELA has designated October as “National Special Needs Law Month.” Special needs planning attorneys throughout the country contribute a great deal to their communities by educating those with special needs, their families, and caregivers about their legal needs. Special needs planning attorneys assist families in financing long-term care, and provide them with the legal tools for financial management, such as powers of attorneys and trusts, as well as understanding Medicare and Medicaid, special needs trusts, and a student’s right to an independent educational plan, housing options, and other issues. 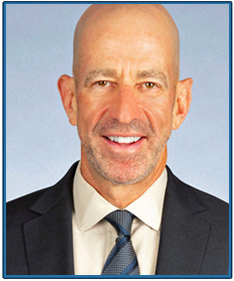 Special needs planning attorneys throughout the country are observing National Special Needs Law Month this October by providing public seminars, law clinics, and other activities that will educate the public. Click here to learn about our events this fall. Click here to learn more about special needs planning.